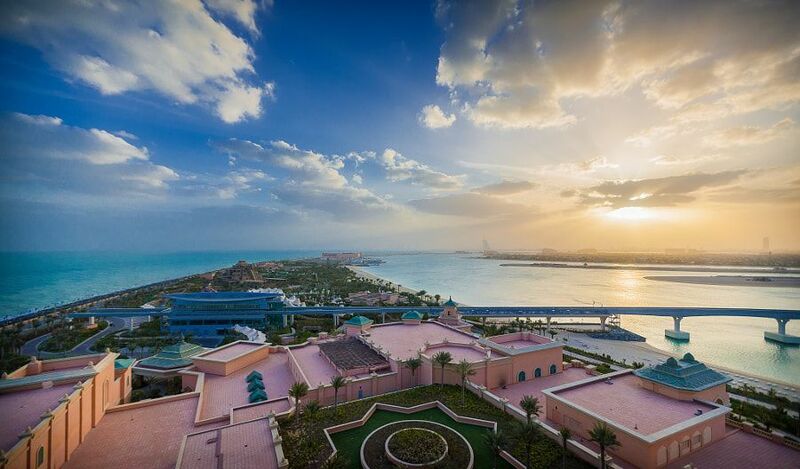 Sunrise – Atlantis – Dubai - Together, We Make Memories! The Palm Jumeirah is an artificial archipelago created using land reclamation by Nakheel, a company owned by the Dubai government in United Arab Emirates and was designed and developed by HHCP architects. It is one of three planned islands called the Palm Islands (Palm Jumeirah, Palm Jebel Ali and Palm Deira) which would have extended into the Persian Gulf, increasing Dubai’s shoreline by a total of 520 kilometres (320 mi).This fine art image by Pat Kofahl is available in multiple sizes on paper, canvas, metal and plexiglass. Prices start at $49.00!